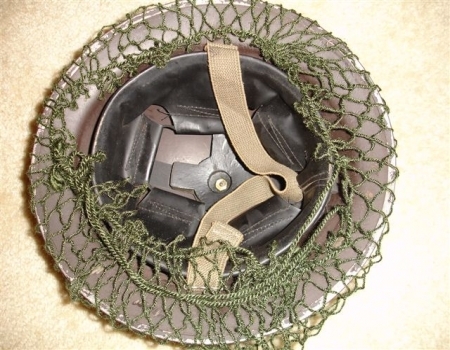 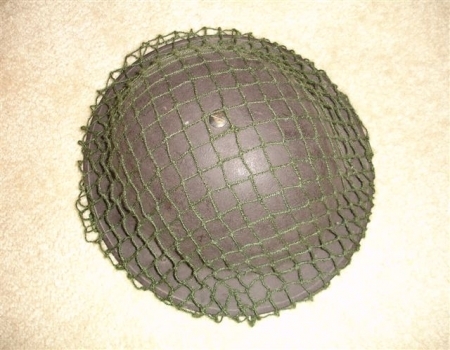 Top and bottom views of a British helmet with webbing. 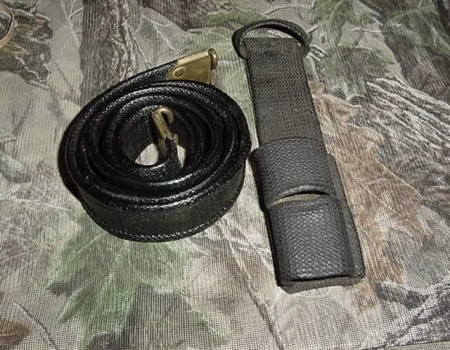 On the left is a British black rifle sling and a frog for a bayonet and scabbard. 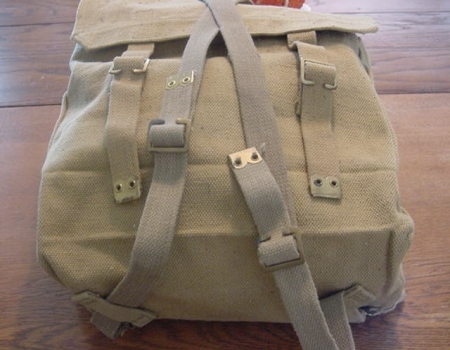 On the left is a backpack. 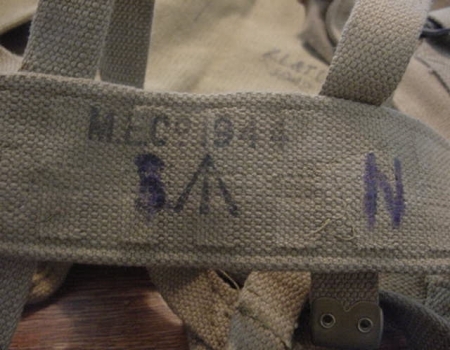 Some random markings that were found on some of the web gear that was located inside of the backpack from above. 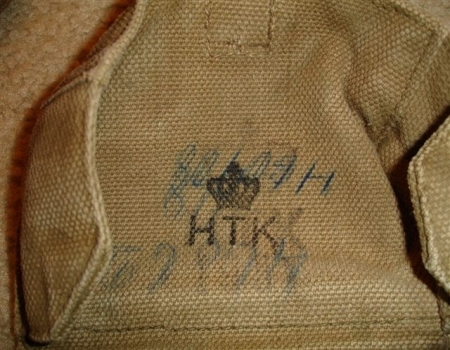 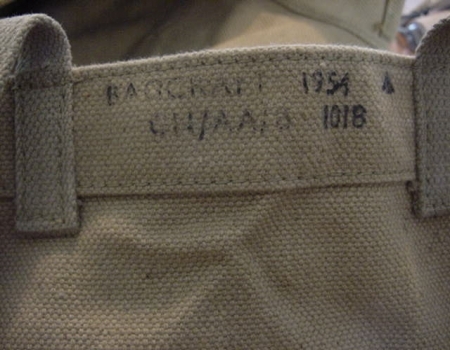 On the left is another random marking that is located on the British items that were found in the backpack above. 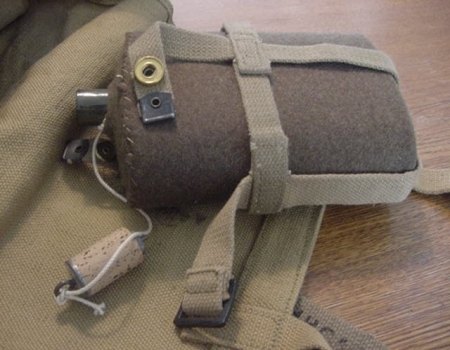 On the right is a British canteen. 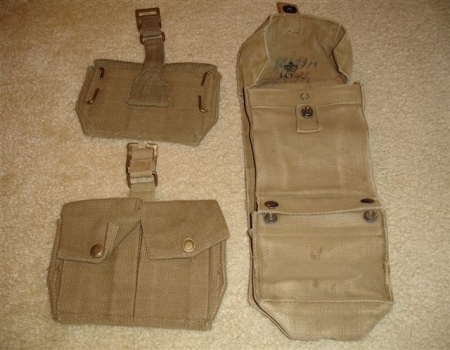 The photograph on the left is a picture of some of the items that were found in the British backpack from above. 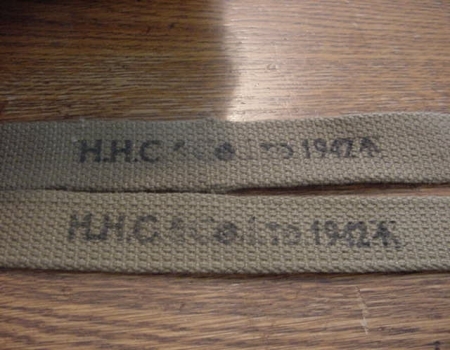 The picture on the right is a close up of the marking that is found on the storage pouch in the left photograph.